Work for Zinrelo Loyalty Rewards Program? 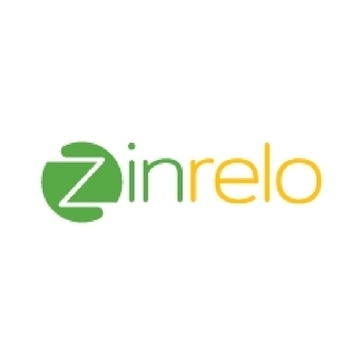 Learning about Zinrelo Loyalty Rewards Program? "The best free loyalty rewards app"
This is the best customizable loyalty rewards app that offers a free plan. I'm very happy with it because it offers plenty of options and you can make it fit seamlessly with your branding. I don't dislike anything! I'm very happy with the app! I'm able to promote a whole new way on social media now, with an easy to use system for my customers to be rewarded for user generated content. The Zinrelo loyalty rewards program is easy to set up and manage. We were able to get up and running very quickly. I like all aspects of the program so far. I have just installed it on my beta site. Not seen anything that is annoying but will update if found . I am trying to get a loyalty program running on my new site. "Awesome experience, Easy to use and fun"
It’s super easy to use and navigate, but support is available if you need it as well! It is awesome that it’s free too with options to pay for more features. There is a little bit of set up required and it takes a lot of time, but that's a given for an app like this. So overall, it's difficult to think of too many negatives to using this program. The ability to reward loyal customers for continuing to use the products helps with customer retention and support. This app is so simple to integrate into my Shopify store, and it has a lot of features. There is a little but of set up required, but I think that's pretty standard for any apps like this. This helps me reward my customers that shop on my online store often. The free trial has very little options, but I don’t think that’s to not be expected. I’ve received traffic I might not have gotten on my own. It have lot of feature for loyalty program. Able to work with magento website and also working with physical retail store. Easy to use. It can connect both my offline and online store. And very easy to use. The loyalty rewards program helps provide the company with a necessary tool to reward the repeat customers. Depending on the loyalty rewards program type it can be hard for the customer to can in the reward. The ability to reward the loyal customer for continuing to use the products. "I love this program "
The ease of use and multiple uses for it. I would love to have an app to use the program from my cell phone or iPad when on the go. this software is really easy to use and convenient. it also provides customers with the incentives. i dislike how you have to go through every step. i have solving insurance. benefits are customer retention. I think this program is great. nothing to dislike. * We monitor all Zinrelo Loyalty Rewards Program reviews to prevent fraudulent reviews and keep review quality high. We do not post reviews by company employees or direct competitors. Validated reviews require the user to submit a screenshot of the product containing their user ID, in order to verify a user is an actual user of the product. Hi there! Are you looking to implement a solution like Zinrelo Loyalty Rewards Program?